Please email support@thescrummaster.co.uk to check availability. 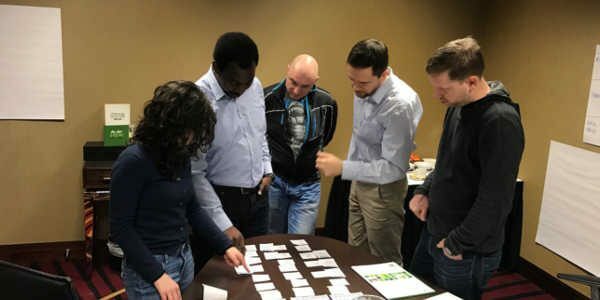 Professional Scrum Master II (PSM II) course is a 2-day advanced Scrum Master class designed to support Scrum Masters in their professional development. 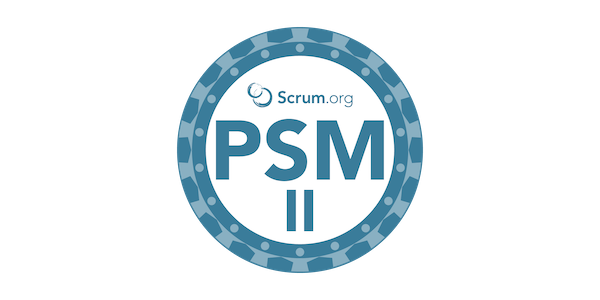 The PSM II class is intended for Scrum Masters with at least one year of experience who are looking to grow their knowledge and abilities as a Scrum Master. This course is one step in that journey. The course also includes a free attempt at the globally recognized Professional Scrum Master II (PSM II) certification exam. Unlike the Professional Scrum Master (PSM) course which focuses on how to use Scrum, the Scrum framework and the role of the Scrum Master, PSM II is an advanced course helping students to understand the stances that characterize an effective Scrum Master and servant-leader while diving deep into how they serve the Scrum Team, Product Owner and organization. 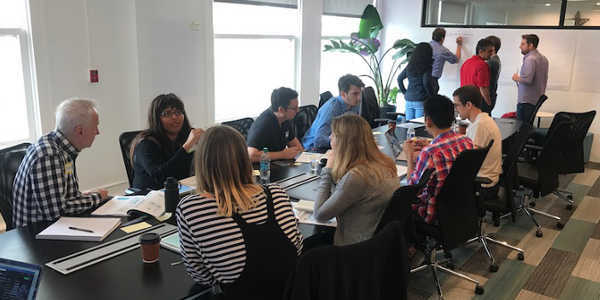 The class then teaches students about related practices and skills to enable them to have the right types of conversations and how to apply them to become better Scrum Masters. As a Scrum Master, being able to identify, and effectively apply, which stance would benefit your team the most depending on the situation or circumstance could prove to be the key to the success of your team. As a Scrum Master, part of your role is to help management and other stakeholders across your organization understand the benefits of Scrum and Agile. Therefore, it is imperative that you have the information and background that is needed to gain credibility in order to be an effective change agent. Throughout the class, your PST will provide stories, exercises, facilitation techniques (such as “Liberating Structures”), resources and more. 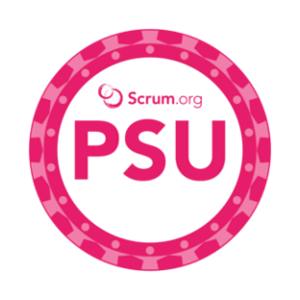 There will also be time in class for the Professional Scrum Trainer (PST) to provide coaching on challenges that you and your classmates may be experiencing today or may in the future. 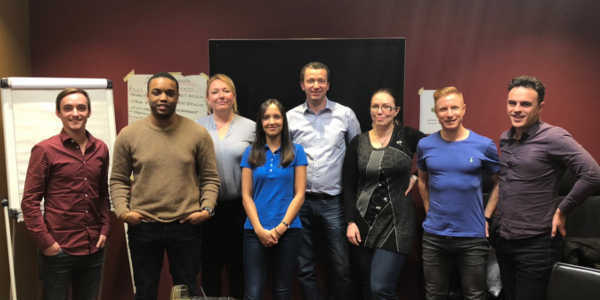 The Professional Scrum Master II course is an advanced course specifically designed for experienced Scrum Masters who have a thorough understanding of the Scrum framework. It is particularly beneficial for those people with at least one year of Scrum Master experience. 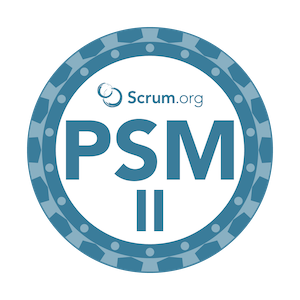 All participants completing the Professional Scrum Master II course will receive a password to attempt the Professional Scrum Master II (PSM II) assessment. If you attempt the PSM II assessment within 14 days and do not score at least 85%, you will be granted a 2nd attempt at no additional cost. You are also entitled to a 40% discount on the Professional Scrum Master III (PSM III) assessment. These industry-recognized PSM certifications require a minimum passing score. 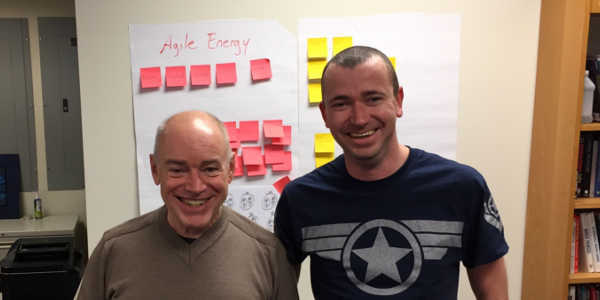 Simon Kneafsey is a Professional Scrum Trainer with Scrum.org, the home of Scrum. He offers Scrum training courses with certification all over the world. Simon has trained 1000+ people in 100+ organisations. Simon led the development of the Times newspaper iPad app and www.dailymail.co.uk. Over the last 10 years Simon has been helping organisations including Google, Microsoft, UK Government, Vodafone, Marks & Spencer and Pearson. You can read more about Simon Kneafsey on LinkedIn, www.thescrummaster.co.uk and you can contact him here. Are there still spaces available on this course? Yes, there are still spaces. Course pages are removed once they are full. What are the course hours? Courses start at 09:00 and finish at 17:00 each day. What experience do I need to attend? This an advanced course specifically designed for experienced Scrum Masters who have a thorough understanding of the Scrum framework. At least one year of Scrum Master experience is suggested. 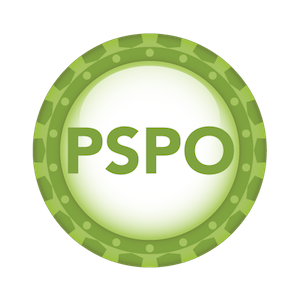 How much does the Professional Scrum Master II (PSM II) certification cost? The price of the PSM II assessment and certification is included in the course fee. You will also receive a 40% discount on the PSM III assessment. How do I achieve the Professional Scrum Master II (PSM II) certification? 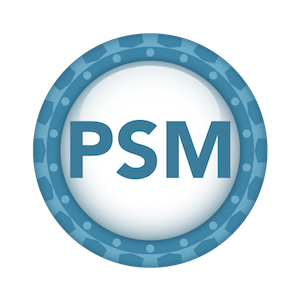 The PSM II certification is achieved by taking and passing an online assessment in your own time in the days/weeks following the course. It can be taken from any internet connected computer. What is required to achieve the Professional Scrum Master II (PSM II) certification? The PSM II assessment is comprised of 30 multiple choice questions that must be completed in 90 minutes. The pass mark is 85%. The course fee provides up to 2 attempts at the PSM II assessment. Courses are capped at around 10 attendees to ensure a premium experience. The only preparation required is to read the Scrum Guide. I’m not sure if I have enough experience to take the course. What should I do? Email the trainer at support@thescrummaster.co.uk and they will advise you. 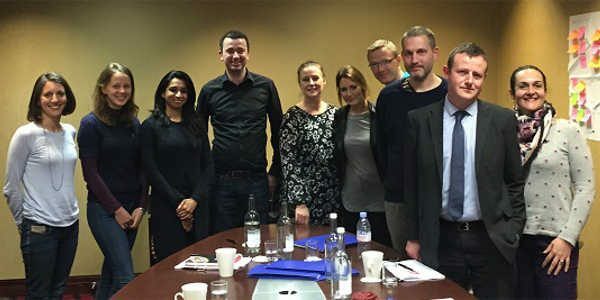 Can I claim PMI PDU credits for attending the course? Yes. You can claim 14 PDU’s for attending a course. Can I pay via Credit/Debit card? Yes. Please click the ‘Register’ button at the top of the page, then select the ‘Register now and pay via Credit Card’ option. Yes. Please click the ‘Register’ button at the top of the page, then select the ‘Register now and pay later via Invoice’ option. Alternatively email us at support@thescrummaster.co.uk. Where can I find your course booking policies? Visit our course policy page. Where can I find more answers to common questions? Visit our full FAQ page for more answers to frequently asked questions. Where can I contact the trainer with further questions? You can email the trainer at support@thescrummaster.co.uk.